This section was created to help all the new students coming to Finland or, as in my case, to the Oulu University. Within this category, we are going to review and explain with more detail about the requirements needed prior your arrival to your University in Finland, what to do when you have arrived and how to successfully get familiarized with the surroundings of your new town as well as the university issues that will be handled in the orientation days. Beside this information, we will explore together the most important places to visit in the city of Oulu, which stores are available and what kind of products we can find there. A deeper and more extended post will go through the seasons and the most commonly use items in each of them. As soon as you arrive to your city of destination e.g. 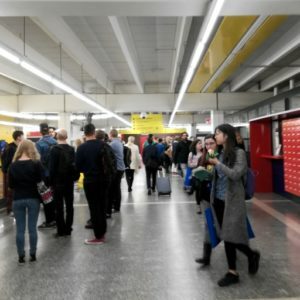 Oulu or prior to it, you should be in contact with your Kummi, who is the person (more likely a student of the university or family) who will guide you or receive you in the city where you will be studying in the day of your arrival. This kummi student will help you with some facts about the city and the university (which are also part if this blog). First thing you need to take in consideration and is quite important -especially if it is your first time in the country and in this city- is to attend to the orientation days that occur during the previous weeks before the semester starts e.g January, August or September. The Autumn semester -which is the opening of the academic year- will start officially in September and sometimes up to one or two weeks earlier or later depending on the courses and the teachers but mostly for the Finnish students that have started their studies already (unless is a special case and the teacher do announce it with time, so DO NOT worry about it!). The Finnish academic system work as such that not all the courses start at the beginning of the semester, as in many of our home countries normally would happen, but instead it has these “periods” which help you to notice when they will start e.g. period A and B, are usually during the first part of the academic year -from September to December- whereas period C and D, are over the spring semester which takes place from January to May.